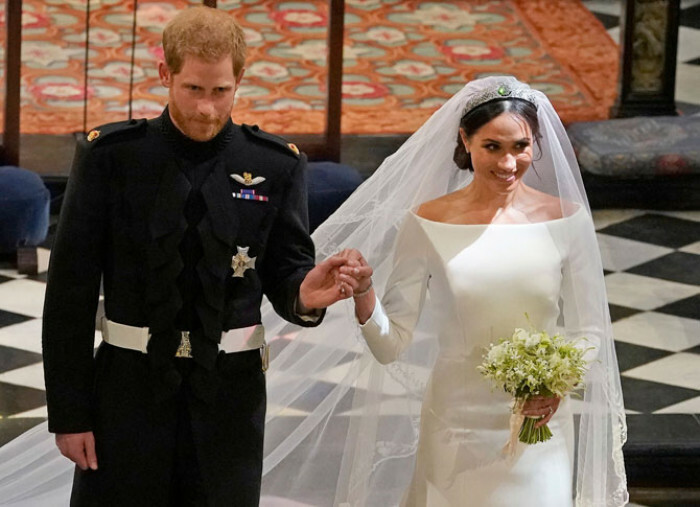 From the dazzling attire to the florist decor to the royal hats and little bridesmaids the wedding affairs of Prince Harry and Meghan Markle will take you to the fairy world. The “Magical Proposal”, the “Royal Wedding” followed by the “Magnificent Celebration” is a dream of many couples. The beautiful couple, majestic venue, astonishing aura, tempting food and blessing of our closed ones! No wonder wedding is the most auspicious time of our lives that should be cherished wholeheartedly. Seems like Prince Harry and Meghan Markle are walking in the same path and flaunting their magnificent and royal wedding affair. 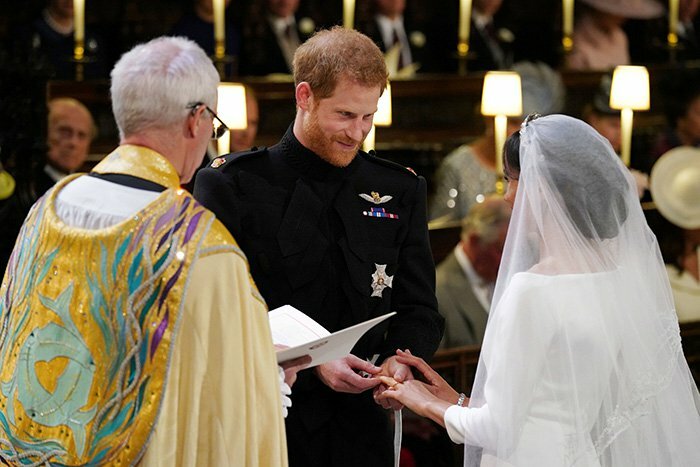 The Duke and Duchess of Sussex -Prince Harry and Meghan Markle tied the knot and exchanged vows on 19 May 2018 in front of their friends and close relatives inside St. George's Chapel on the grounds of Windsor Castle. 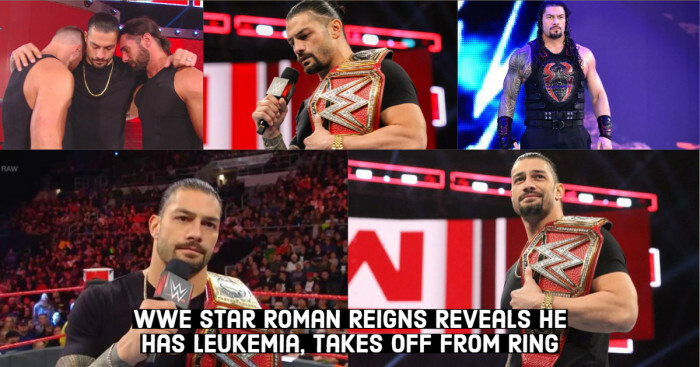 No wonder the celebration and every chunk of the event were truly groundbreaking. The wedding was full of magnificent affairs, beautiful decor, delicious food, the presence of the awe-inspiring guests, the gorgeous wedding outfit and lot more. Well, there are numerous things allied to Prince Harry and Meghan Markle’s wedding that you might have missed. But, you don’t have to worry because we have come with all the minute details of their wedding day let’s have a look. 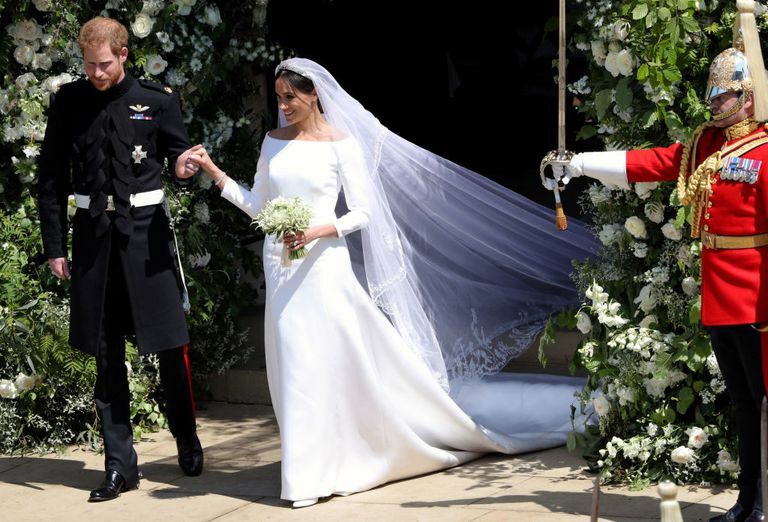 Wedding attire is one of the most precious things for the bride, Meghan Markle wanted to look her best in her special day so she also tried many designer outfits and lastly she wore the beautiful white gown designed by the U.K. designer Waight Keller, the first female artistic director of Givenchy. Reportedly, the Duchess and Ms. Waight Keller worked closely together on the design to achieve the elegant look. The Headpiece Or Tiara is one of pure tradition that truly adores by the brides. It’s very important for the brides that their Headpiece compliments their wedding dress and flatters your face. Seems like Meghan Markle set an example with her awe-inspiring Headpiece. In fact, she shocked us, wearing a diamond center-stone adorned filigree tiara on her special day. According to the reports the Headpiece worth nearly $700,000. Seems like Prince Harry and Meghan Markle wanted to make their wedding day the most memorable one well, the decor is no exception. 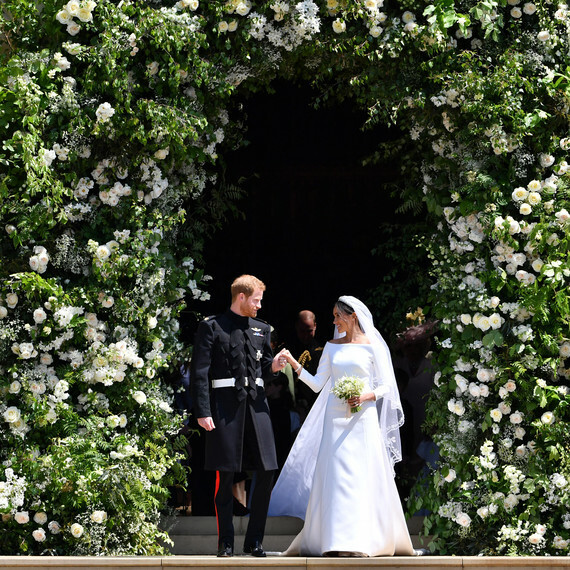 The beautiful couple opted for the gorgeous white roses and peonies and ticked off London florist Philippa Craddock to decor the St. George's Chapel at Windsor Castle ( The Wedding Destination). Their team decor amazingly the whole place with gorgeous garden roses, peonies, foxgloves and branches of beech. 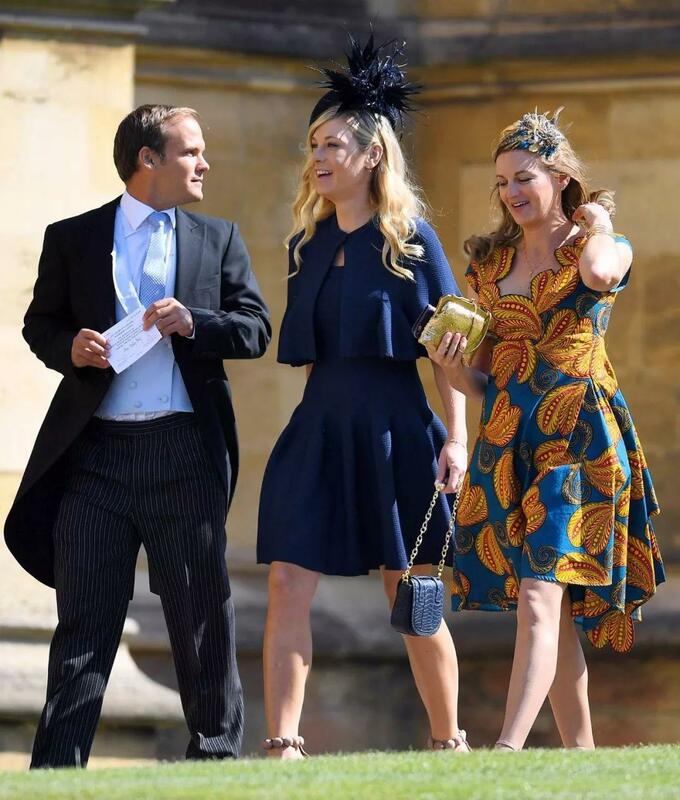 It is pretty interesting to know that the Princess Diana’s niece, the Lady Kitty Spencer also arrived at the royal wedding of Prince Harry and Meghan Markle. She wore a sensational green floral Dolce & Gabbana dress and she was looking extremely royal in that attire. 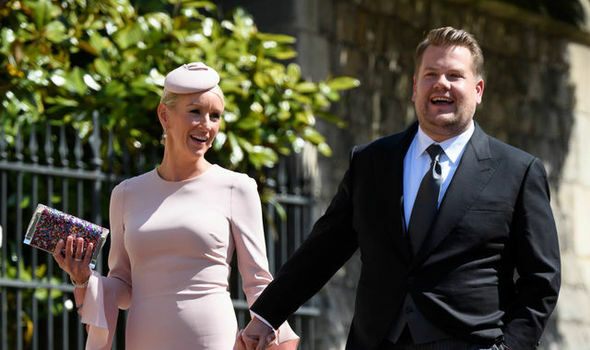 An inspiring actor, producer, comedian, television host, and singer also attended the royal wedding with his wife Julia Carey and gave the blessing to the stunning couple. 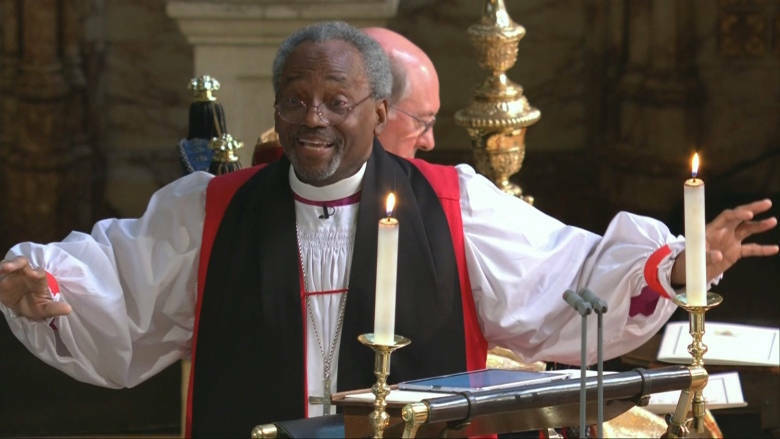 Surprisingly the Bishop (appointed member of the Christian clergy) the Chicago-born Michael Curry gave an astonishing speech during the ceremony and he used a tablet to deliver his speech, now that’s quite new we guess. Michael Bruce Curry is the 27th and current presiding bishop and primate of the Episcopal Church. That is too cute and adorable, the gesture showcased by Prince Harry. See the picture how the groom bit his lip and staring at his lady, this is a micro-expression. According to the expert, this expression reveals deep emotions and the current state of mind of a person. So, we guess he cherished this personal moment and tried to hide his emotions. Well, the marriage of the daughter is an emotional moment for every Mom. 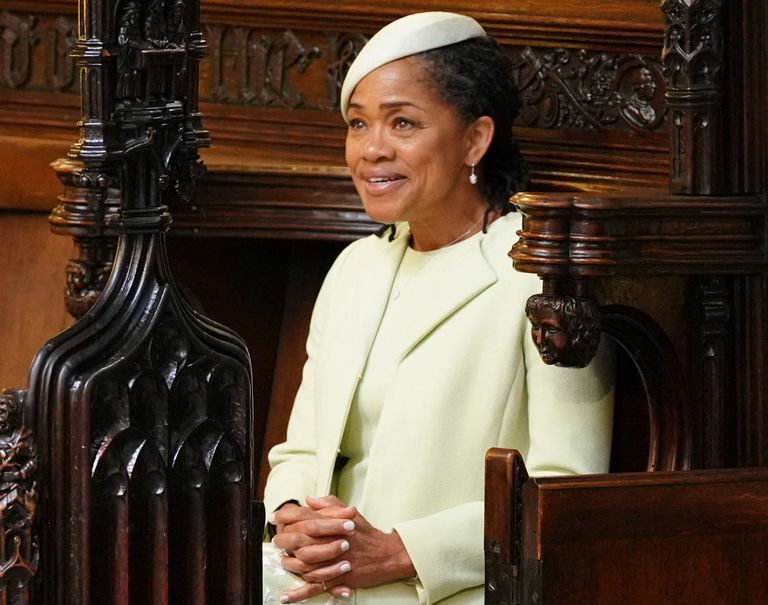 Meghan’s mom looked so emotional at the wedding, she was sitting alone and cherished each and every moment at the royal wedding. We can understand how she was feeling, the moment of mix emotions we can say. She was spotted near the Queen. As per the tradition the couple exchanges the rings, Meghan got the gold ring while Prince Harry got Platinum. 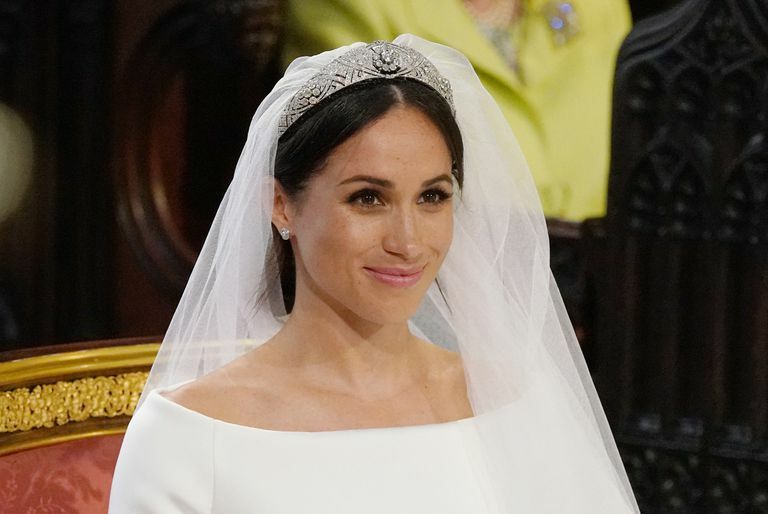 Reportedly the bride’s ring is made from a piece of Welsh gold gifted by Queen Elizabeth II while on the other hand prince’s platinum ring is too stunning and also reflecting the royal touch and textured finish. Shockingly enough but Prince Harry invited his exes in his wedding. It is good gesture flaunted by him. I guess his gesture proved that he has moved on and very happy with his lady. Reportedly, the Duke of Sussex has a good friendship with both ladies. Well, if you thinking that the Queen brought a green dress for the wedding just to accomplished the fashion goals then you must explore the reason again. She wore the green color outfit because green is the color of growth and rebirth. In fact, she said to the media that A person who wears green is the regulator and open-hearted, and green is color that worn as a sign of respect. How can we forget the magic of bridesmaids? 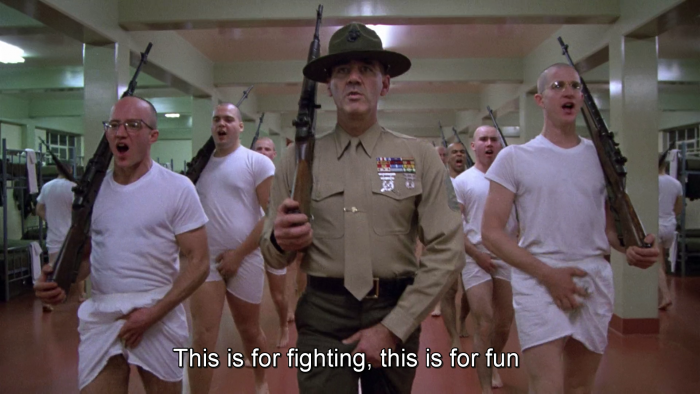 Usually the bridesmaids are members of the bride's gang, friends or close relatives. 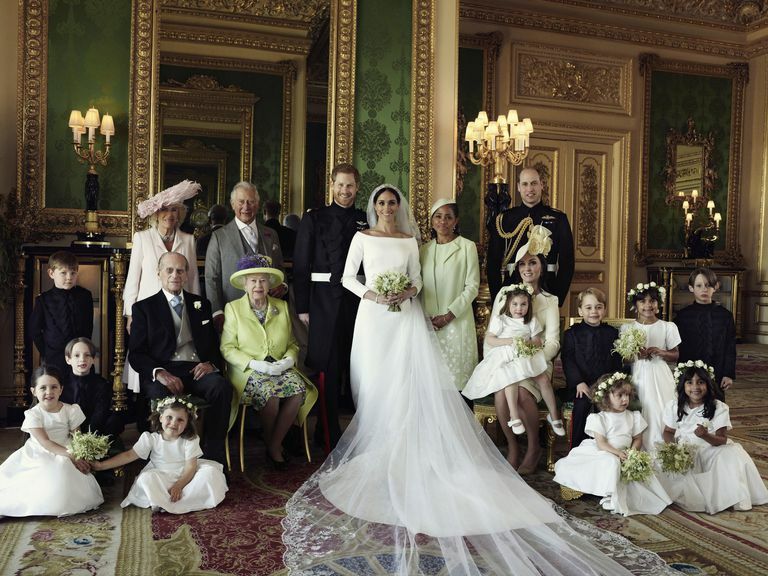 Meghan Markle chooses the little angels for the role of bridesmaids, just look at the picture. This picture will melt your heart like never before. After the magnificent wedding event, the beautiful bride Meghan and the groom Harry left for their second reception on the stunning car. 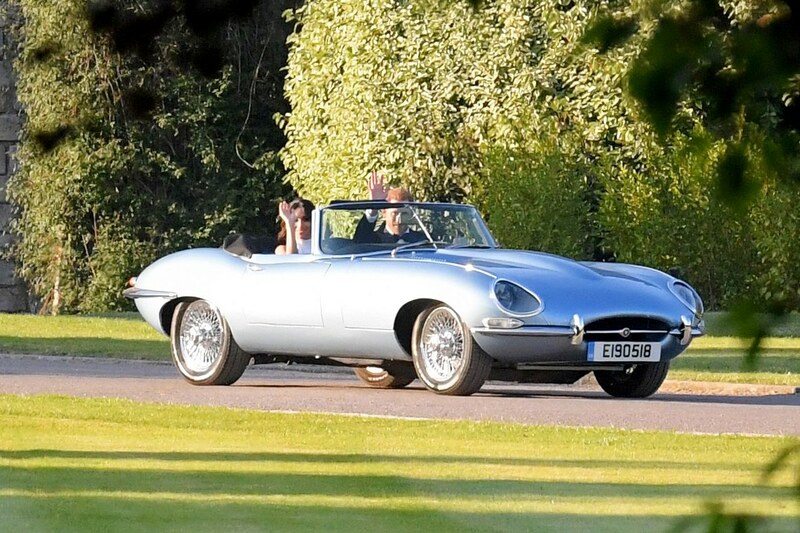 The reception was hosted by Prince Charles at Frogmore House, in a silver-blue 1968 Jaguar. No wonder, these moments are so mesmerizing and breathtaking that everyone could wish to adore in the real life. 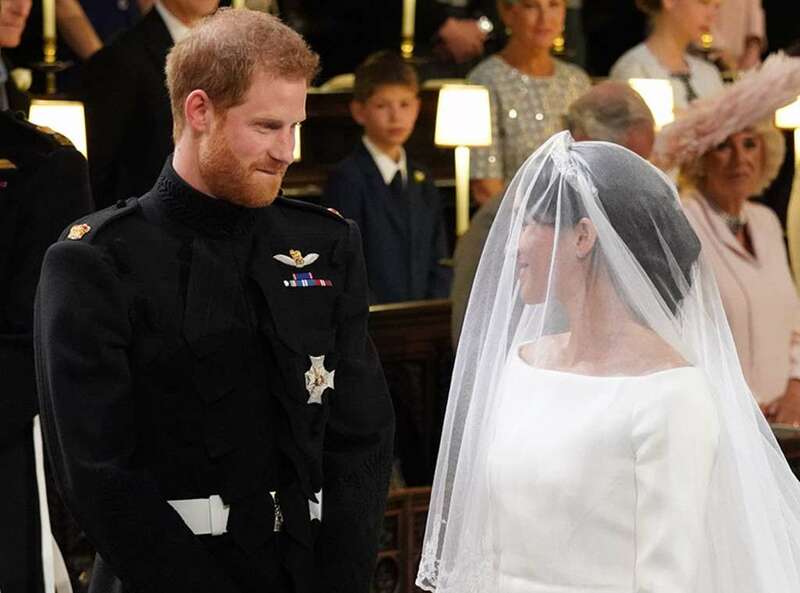 Well, that’s why we have come with some quick glimpse from Prince Harry and Meghan Markle’s Wedding day, share your opinion how do you find it?